Paramilitary connections are still being used to intimidate women in domestic violence situations two decades after the end of formal hostilities in the North. A new report published today reveals a cohort of men affiliated, or claiming to be affiliated, to illegal republican or loyalist groupings use these connections to exert control over their partners. The Ulster University study also reveals how some victims of domestic violence turn to paramilitary groups for "protection" rather than going to the authorities. 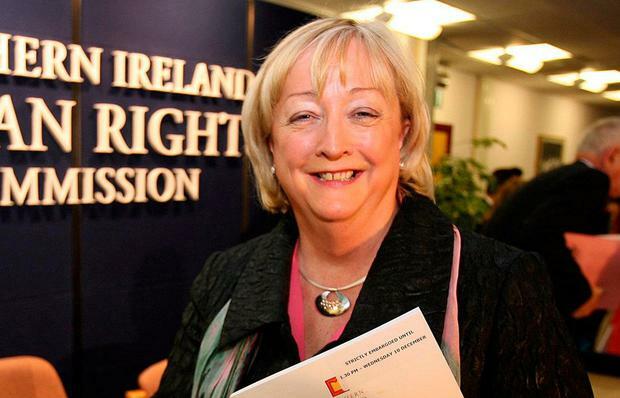 The study, led by Emeritus Professor Monica McWilliams and Dr Jessica Doyle, said the continuation of paramilitary control over women experiencing domestic violence remains a concern. Out of 63 women interviewed in Northern Ireland for the study, nine said their partners used real or alleged paramilitary links to threaten, control or abuse them. However, the authenticity of the connections asserted was "frequently open to question". Some of the victims claimed connections were fabricated with the specific intent of controlling and threatening them. Two other women interviewed said they sought protection from a paramilitary group. This involved the group issuing a warning or a threat to the perpetrator to stop harassing or abusing the victim. One participant spoke about requesting "somebody to speak a wee word in his ear". As a result, her partner stopped harassing her after many years of such behaviour. However, the study noted that turning to paramilitaries for help was less prevalent than reported in an earlier study conducted in 1992, before the ceasefires and the Good Friday Agreement. It also found there was a significant increase in access to policing for participants, particularly those from nationalist communities. Victims are now more inclined to contact the police, who in turn have a better capacity to respond. While the use of firearms was a main finding in the 1992 study, only two victims reported their use in the new research.